As producer of the successful Amy Winehouse record Back In Black, British producer and composer Mark Ronson became an established name. After that he worked with Lily Allen, Adele and even Paul McCartney. As performing artist he had not been able to match this success yet, but now with Uptown Special he finally did it. All over the world the record is at the top of the charts, driven by the single 'Uptown Funk' with Bruno Mars, that has been dominating the charts and radio stations for weeks, while the year had barely started. The steaming funk song funk song is probably already one of the biggest hits in 2015 early in the year. Ronson realized that he couldn't achieve this by himself so his idol, Pullitzer price winner Michael Chabon, and Jeff Bhasker, who worked with Kanye West ans Alicia Keys, helped him write the songs. He also managed to gather a group of diverse artists to lay down the vocals. Besides the aforementioned Bruno Mars, you can hear Tame Impala's Kevin Parker, rapper Mystikal and no one less than Stevie Wonder on the album. Cleverly enough, Ronson knows how to get the best out of these artists, even when singing different kinds of songs. On the somewhat psychedelic and very danceable 'Daffodils' Parker is singing with lots of reverb, but his falsetto is also fitting the Steely Dan-like 'Summer Breaking', and again in the great disco song 'In Case Of Fire'. Not just the wonderful soul voice of Stevie Wonder is used in opening track 'Uptown's First Finale' but also his unique harmonica playing. Apparently Ronson has a perfect nose for what a song needs to sound optimal. 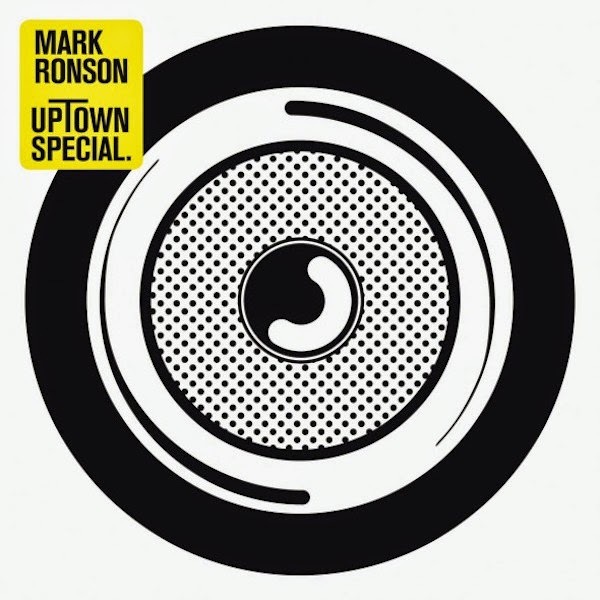 Inspired by the funk and disco from the seventies and eighties, and what he played himself in the New York clubs end of the nineties, Uptown Special turned into a fine dance record. Like he mentions himself, he is so full of ideas that he needs to make clear choices. That's something he didn't quite succeed on with this very versatile album, that indeed shows so many different sides, that he could have made three records out of it. With more focus it could have turned into an instant classic although he does showcase all of his talents now. Of course 'Uptown Funk' is such a great song and mega hit, that it could have carried the whole album by itself, although in the end that is not necessary. Because Uptown Special is primarily a wonderful and smart set of songs, that offers a lot to enjoy. Listen to 'Uptown Special' on Spotify.